The artistic legacy of outstanding Russian painters such as Vasily Surikov, Viktor Vasnetsov and Ilya Repin - and another master from the same tradition, Ivan Shishkin - seems to have been studied, explored and expounded so thoroughly that, to use Shishkin’s words, “everything has been learned, and there is no more learning to be done”. However, museum researchers sometimes enjoy unexpected encounters with works by these masters that have been long forgotten and/or believed lost, or have a style unusual for them and here is the story of our search and findings. Today the chances are great that you may come across a “new Repin”, “new Shishkin” or “new Vasnetsov”. Over the last 15-20 years the art market has seen the appearance of many pieces from private collections that were “sleeping” before a certain moment, “biding their time” as they waited for a new life. The market can offer unpleasant surprises, too, such as very sophisticated art frauds and fakes that deceive the most knowledgeable and reliable experts. That factor only adds to the importance of the discovery of a genuine, previously unknown piece by a well-known painter. I first saw this small picture signed “I.Shishkin”, on a computer screen. Much in it, most of all the subject, was unusual for Shishkin. Seated in front of a big window in a room suffused with sunlight, a young woman reads a letter. Her dress, hair style, and the details of the surroundings suggested that the piece was set in the 1860s or the early 1870s. The date inscribed on the painting — 1870 — did not conflict in the least with the setting and the young woman’s appearance. And yet, was the painting really a work by Shishkin, the landscape artist distinguished for his forest scenes? I needed to see the real painting, to hold it, to “finger” it with the eye, to compare its style and techniques with those of the master’s proven authentic works, and then to answer the key question — is it a Shishkin or not? And then to try to learn how it happened that the “hymnist of the forest” produced a “household scene” so unusual for him? It would have been so easy to brush aside the picture right away, saying that Shishkin did not paint household scenes. But professional curiosity urged this writer to look into the issue as carefully as possible and to follow through on it — and to utter confidently the affirmative “yes” or the negative “no”, only at the end of the journey. Regrettably, the picture was being kept outside Moscow, so I could not place it side by side with and compare it to Shishkin’s other works, but circumstances were auspicious and I had a chance to see and carefully study the picture. The first overall impression was that it was authentic. This confidence came from the warm golden palette of the household scene which was similar to the artist’s favorite colour schemes, especially those he used at the beginning of his career. 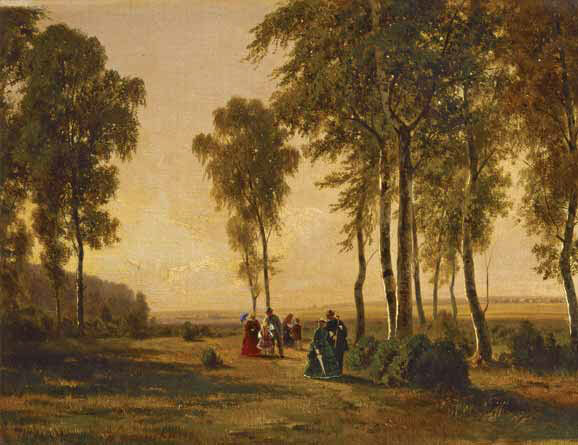 The colours evoked a phrase from a letter Shishkin wrote to his parents in Elabuga about his landscape “A View Near St. Petersburg” (1856, in the Russian Museum), when he was a student at the Fine Arts Academy: he “wanted to render the warmth and translucence of the air, the impact of the sun on objects”.1 Precisely this quality of the “warmth of the air” transfiguring a most ordinary household setting lends very great charm to the objects depicted and the picture in its entirety. The image owes much of its appeal to the figure of the young woman holding a letter; her face is suffused with light, which lightens up the dark dress and casts reflections on the floor. This light, as well as the modest pieces of furniture, the pictures on the walls, green plants on a windowsill, and a shawl crumpled on a couch give the room a cozy look. However important, such a first impression cannot be the sole proof of a picture’s authorship; an interior scene with a human figure, this small but charming piece was unusual for the notable landscape master’s legacy. This circumstance complicated the task of directly comparing the narrative and composition of the picture with those of Shishkin’s similar or kindred pieces. Only a careful scrutiny of the picture’s visual techniques could reveal similarities, if there were any, between the picture and other paintings. Close study showed that the brushwork, the application of the brush along the contours of objects, the specifics and diversity of the texture were comparable with and similar to the style of Shishkin’s authentic works. The layer of paints had thinned out over the years exposing, in certain places, the penciled delineations of a preparatory sketch which became strongly visible in the folds of the white curtains, in the general lineaments of the female figure, and in the details of the interior setting “built up” by the artist yet in the early stage of his work. 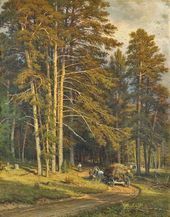 Landscapes on the walls of the room, similar in style to Shishkin’s works, were an important pointer to the authenticity of the unusual piece — this is especially true for a large landscape with graceful pine-trees on a hillock, which was close in style, format, composition, and the pattern of light spots characteristic to almost all Shishkin’s landscapes. 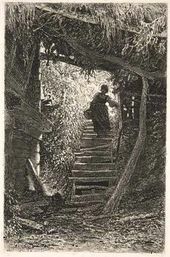 Identifying stylistic similarities between the picture in question and other authentic pieces by Shishkin was only one part of the task; another was to find evidence that the artist had indeed tried his hand at household scenes. When Shishkin was still a student at the Moscow School of Painting (1852-1855), studying under the mentorship of Alexei Venetsianov’s student Apollon Mokritsky, the beginning landscape artist painted the interior of his professor’s home, at the latter’s request. 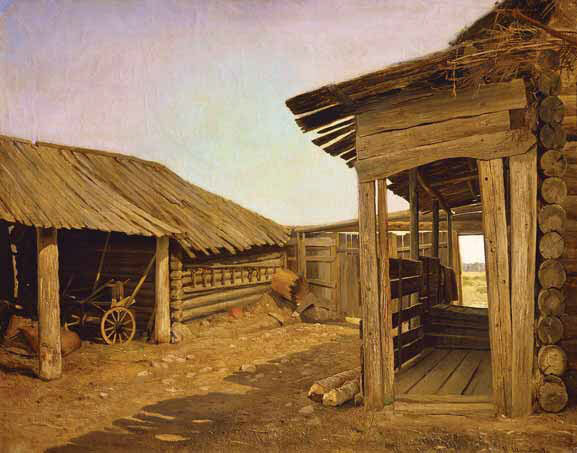 As is well known, the genre of interior scenes was one of the cornerstones of Venetsianov’s teaching method, and his students often tried their hands at genre painting leaving a legacy of pictures conveying the inimitable atmosphere, measured pace of life and domestic comfort characteristic of that living environment in the mid-19th century. Mokritsky taught his favorite student a great deal by way of the tradition of Venetsianov’s school: he taught him to be thoughtfully observant and mindful of the simplest things such as the ordinary living environment of a person, or the life of grass, flowers and trees. Shishkin's image of his room in his parents' home in Elabuga from his early days as an artist (in the Shishkin House Museum in Elabuga) is well known, as is his picture "Inside a Peasant's Hut" (Tretyakov Gallery), an etching "Lobby of a Country Home" (1890, Tretyakov Gallery), and an oil sketch "Courtyard of a Peasant's Home" (from the 1860s, Russian Museum) featuring an enclosed space. 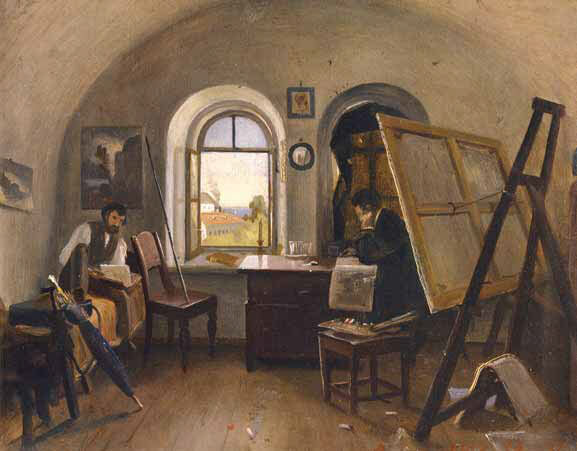 Finally, Shishkin left remarkable images of the interior of his studio on Valaam Island where he worked with his close friend, the artist Alexander Gine (“Shishkin and Gine in Their Studio on Valaam”, 1860, Russian Museum). When they studied at the Academy, they came to Valaam every summer. The dates on the picture — “1858-59-60” — remind us that the studio was a very much lived-in place and the artists spent summers there for many years. Thus, Shishkin did paint interior scenes, albeit not very often. 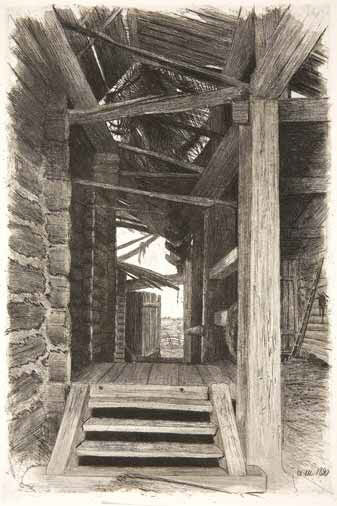 Besides, many of his forest landscapes feature enclosed outdoor spaces, “forest interior scenes” of sorts. 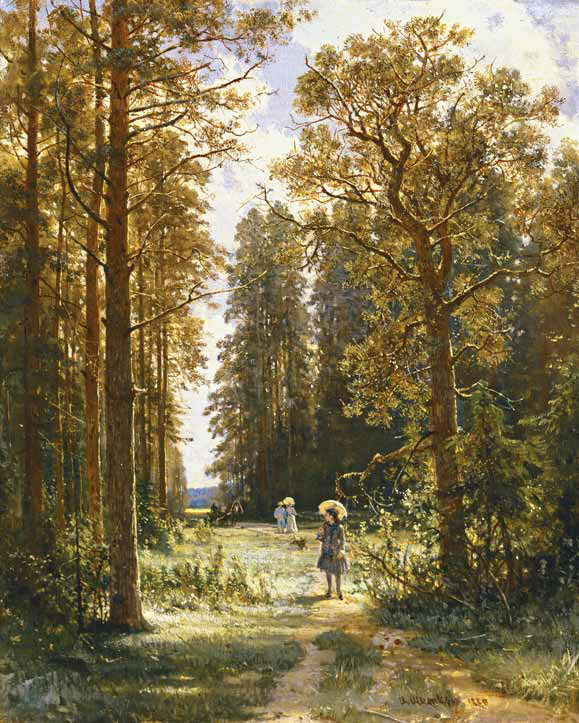 Throughout his life as an artist, Shishkin would every now and then introduce into a “pure” sylvan landscape a human figure or a whole group of figures, often lending to some the features of a real person, as he did, for instance, in the painting “A Walk in the Forest” (1869, Tretyakov Gallery). 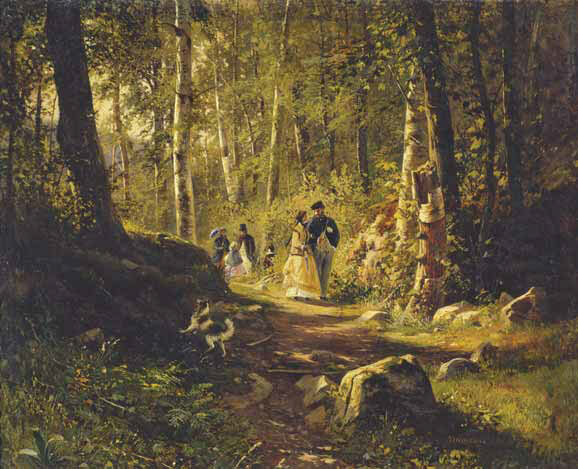 Shishkin’s own traits are recognizable in the young gentleman leading a lady by the arm. It appeared that the search, having come full circle, had productively reached its conclusion. 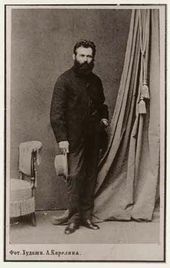 But any doubts regarding Shishkin’s authorship that remained were dispelled when this writer discovered, in Shishkin’s private archive, a list of photographs of his paintings he held in his studio, hand-written by the artist himself. Next to every entry the artist penciled a little sketch. Entry number two reads “Genre” and features a sketchy outline of the painting4 which we called “In Front of the Mirror. Reading a Letter”. Thus a “new” Shishkin, previously unknown to us, was discovered. But I also wanted to learn how the painting was created, to locate its place within the artist’s legacy and, finally, to identify the lady depicted. This writer felt an enormous temptation to identify her as Shishkin’s wife, especially since the circumstances of his life seemed to call for such association. The year when the picture was created — 1870 — was quite a lucky one for Shishkin both as an artist and as a man. At the very end of 1869 Pavel Tretyakov bought his painting “Noon. 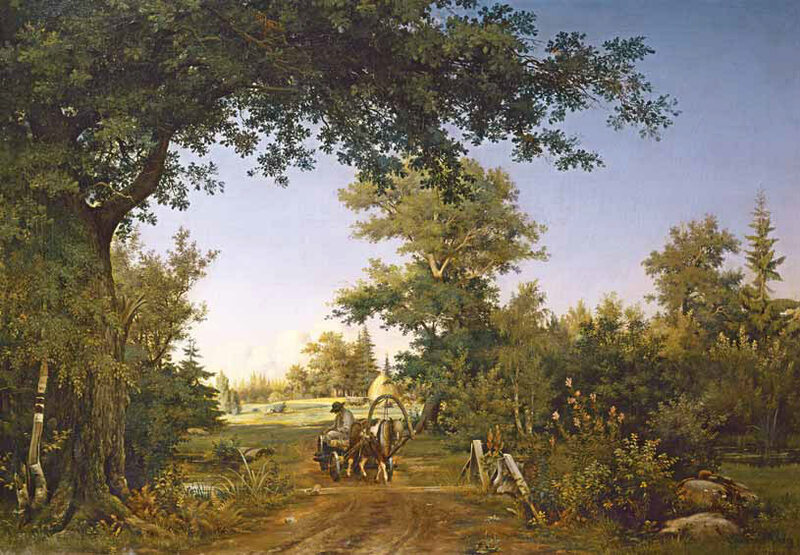 Near Moscow”, which laid the foundation for the collection of Shishkin’s works at the Gallery. 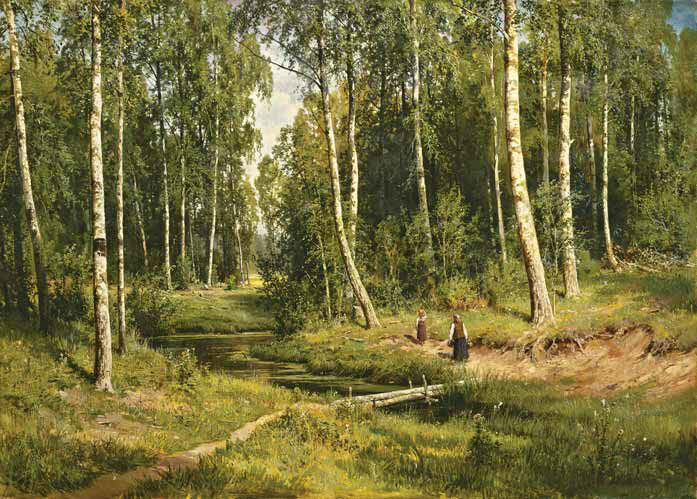 In the spring of 1870 the Society for Encouragement of Artists awarded Shishkin a First Prize for the landscape “A Brook in the Forest” (Odessa Art Museum). In the autumn of the same year the painter became one of the founders of the “Peredvizhniki” (Wanderers) Exhibition Society. Also, in the mid-summer Shishkin received an order for a large album of watercolour views of Nizhny Novgorod, which was to be presented to Emperor Alexander II. To fulfill this commission, the artist left St. Petersburg for several months. 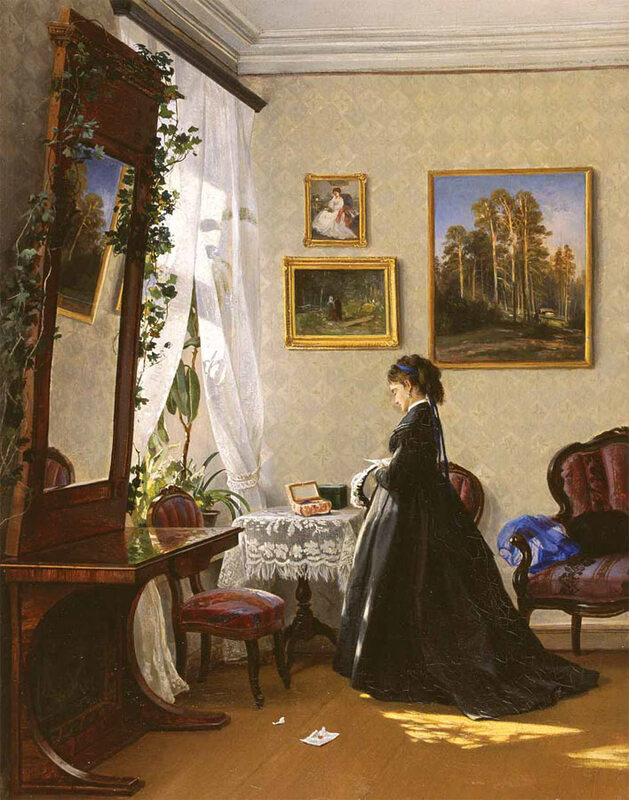 Comparison of the image of the young woman reading a letter with photographs of Shishkin’s wife Yevgenia Alexandrovna, nee Vasilieva, strongly suggests that she is the woman featured in the painting. In 1866 Shishkin became close friends with a young and exceptionally talented landscape artist Fyodor Vasiliev, who became his student. Soon Shishkin was introduced to Vasiliev’s entire family; Yevgenia was the sister of Shishkin’s gifted student. For someone knowing the facts of Shishkin’s life it seems only natural that he created the painting “In Front of the Mirror”, so untypical for a landscape artist — it could have been a “consolation” of sorts for the artist himself and for his “devoted and affectionate” wife Yevgenia. The painting has very personal and even intimate overtones. 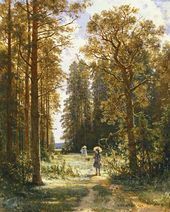 For many years the picture was held by the Shishkin family, then by the artist’s daughter Lydia; in the early 1930s it was sold to a famous Czech collector Millerov, and after his death, inherited by the collector’s widow8. This thoroughly charming picture is distinguished by an astonishing combination of Shishkin’s mentor Mokritsky’s influences, Venetsianov’s tradition of household scenes and the even older impact of the Dutch masters of the 17th- 18th centuries with their love for homely comfort and a measured pace of life. Shishkin’s “genre” broadens our knowledge of the scope of the talent and artistic interests of the master of powerful forest landscapes, and adds a new important touch to his legacy. Ivan Ivanovich Shishkin. Correspondence. Journal. Memoirs of his contemporaries. Leningrad, 1978. P. 44. Further on referred to as the Correspondence. Compiled by Irina Shuvalova. 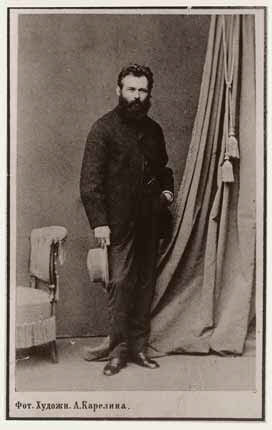 Ivan Pikulev. Ivan Ivanovich Shishkin. 1832-1898. Moscow, 1955. P. 219. Fiala, Vladimir. Russian Paintings in Czechoslovakian Collections. Leningrad, 1974. P. 143, No. 461. Russian Academy of Fine Arts, academic archive, fund 39 (I.I. Shishkin), folder 1, item 2, sheet 1. 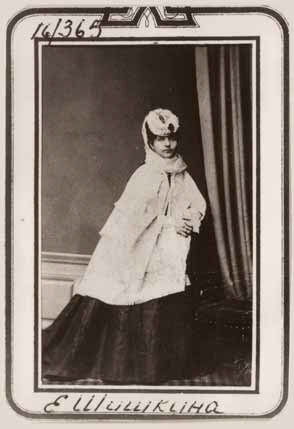 Like her younger brother, Yevgenia Shishkina (1847-1874) died from consumption, surviving Fyodor by one year only. Shishkin was deeply affected by the demise of his beloved wife and his dearest friend Fyodor.